8 Nice, new and very cool indoor lanes. 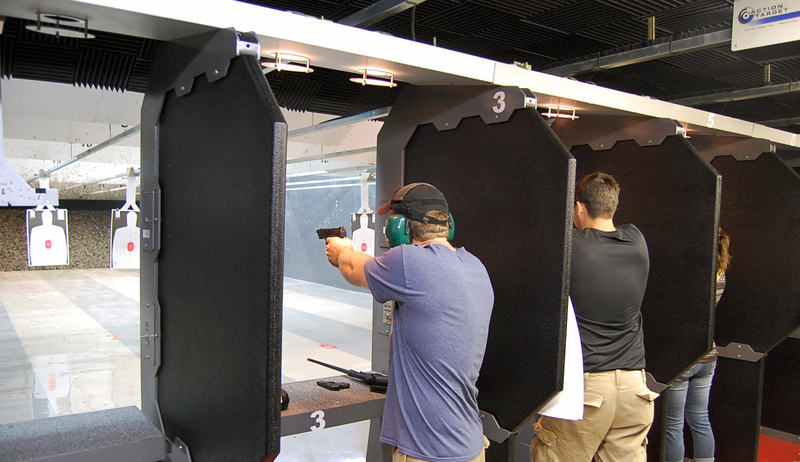 Our indoor shooting range is air-conditioned, well-lit and built to meet NRA Guidelines. There are 8 shooting lanes, all offering a shooting distance of 25 yards (75 ft.) and equipped with individually retrievable mechanical target systems. An 8-ton safety berm prevents penetration through the target wall. Members shoot free. Daily fees are $15 for the first shooter and $10 for the second shooter in a single lane. If the second shooter is 13 to 21 years old, he or she may join for just $7.50. No experience is necessary for lane use. If you don't know how to use a firearm or if you're uncertain about anything, please see one of our experts, any one will be happy to help you. 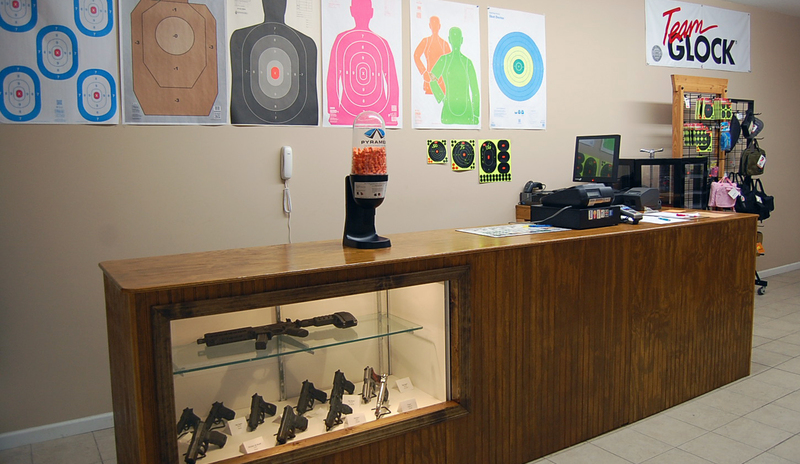 We have rental guns available in the range as well as several used guns to choose from. If you choose to rent one of our firearms, you must also purchase and use our ammunition. Ammunition, firearms and other accessories (such as eye and ear protection) are also available for purchase. NEVER ASK and NEVER ALLOW anyone to point any firearm at any person for any reason. No more than 2 people per lane. No rifles or shotguns allowed in the range. The Range Safety Officer must approve all guns and ammunition carried in. No one under the age of 10 is allowed at any time. Minors (age 10 to 20 years) must be accompanied by an adult (age 21 years or older). Eye protection, hearing protection and closed-toe shoes are required at all times. Photos are allowed as long as everyone involved is following safety guidelines and there is no distraction to other shooters. However, photographers must respect any request from others who ask them to refrain from picture-taking. 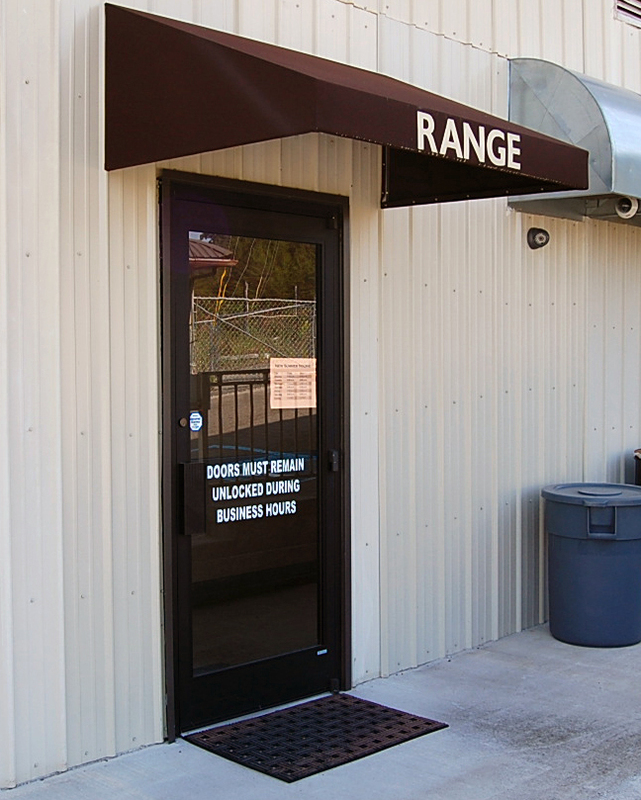 Except for holidays and inclement weather, our shooting range is open during normal business hours. Our range entrance and waiting area are wheelchair accessible as well as 2 of our 8 lanes.